BoscoLighting Pty Ltd has added new products to their LED strip lighting range, all designed for more flexibility and versatility. BoscoLighting’s LED strip lights now include SMD3528, SMD5050 and SMD335 LED edge strips as well as WS2812 LEDs. One of the most dynamic light sources available, LED strip lights are ideal for numerous lighting applications such as display lighting, back lighting, under bench lighting, accent lighting and mood lighting among many more. Available in various lengths, colours, brightness levels as well as IP ratings, BoscoLighting's versatile tape lights can be used in bathrooms and kitchens, along paths, and even inside aeroplanes. 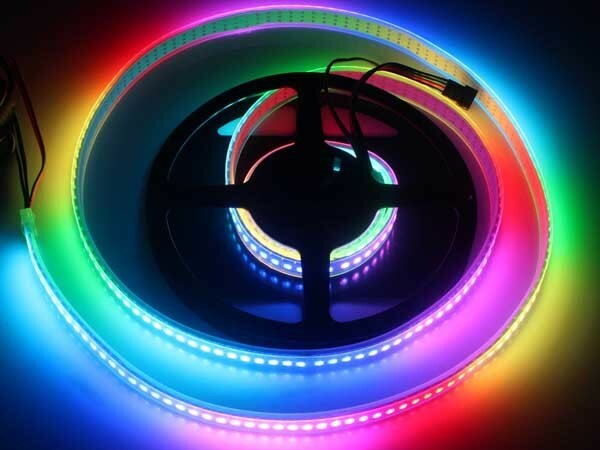 Key features of BoscoLighting’s LED strip lights include choice of Warm White, Neutral White and Cool White colour temperatures, single colours or even RGB colours; ease of use when cutting to size or extending; 35,000-hour lifetime with a 3-year warranty (10% of modules are below 90% of their initial luminous flux); super flexible form that’ll stick to just about anything; and sealed silicone for water resistance and easy cleaning (IP65 Waterproof). BoscoLighting can also provide high quality aluminium extrusions to accommodate linear strip lighting. The aluminium extrusions create a neat finish when the strip light is installed as openly visible.